Accreditations - ATASCOSA HEALTH CENTER, INC.
Joint Commission Accreditation is a quality control measure of patient outcomes and care. 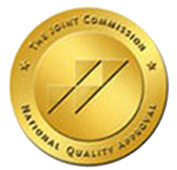 The Joint Commission (TJC) is a United States-based nonprofit tax-exempt 501 (c) (3) organization that accredits more than 20,000 health care organizations and programs in the United States. The mission of the organization is 'To continuously improve health care for the public, in collaboration with other stakeholders, by evaluating health care organizations and inspiring them to excel in providing safe and effective care of the highest quality and value. A Patient Centered Medical Home (also known as Primary Care Medical Home) or PCMH is a designation that ensures patients receive the utmost care through a team approach to providing total health care. Your medical home team includes your health care provider, others who support you, and, most importantly, YOU. PCMH clinics help manage your health care, answer your health questions, listen to your concerns, work with other medical experts when necessary, coordinate your care through additional services, and encourage you, the patient, to play an active part in your own health. The Texas Association of Community Health Centers (TACHC) is a private, non-profit membership association that represents safety- net health care providers in the state of Texas.